At The Technoskeptic, we’ve always been big believers in the tangible. That’s why it’s been of critical importance to our mission to have a print edition of the magazine. It’s something that we’ve been working on for quite some time, and we’re very excited to announce that today, our first issue was just delivered to the printer. It should be out in approximately one week’s time. With one small exception, the print edition features entirely new material that has never been published before and is not available on our website. At 40 pages, it covers a range of topics related to the impact of technology on society, including pieces by Geek Heresy author Kentaro Toyama and The Gutenberg Elegies author Sven Birkerts, plus a few great illustrations by Dan Blakeslee. 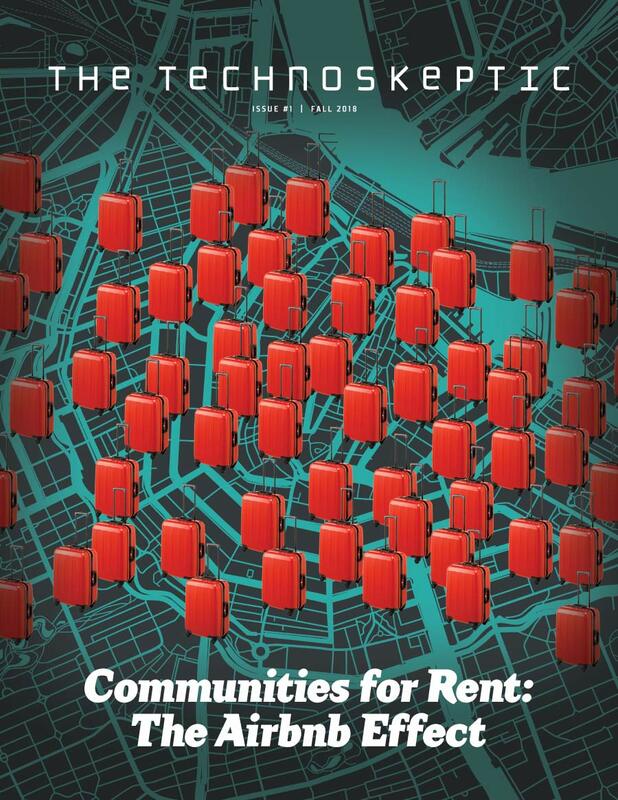 Our cover story is an in-depth examination of the impact of Airbnb on communities by our own David A.J. Reynolds. It’s excellent, informative, and may make you rethink your travel plans. If you’re already a subscriber, the good news is that you’ll be among the first to see the new issue! You’ll be getting our print magazine mailed right to your door—you don’t need to do anything extra. For those of you who aren’t yet, consider subscribing now so you can receive this and future print issues as they come out. 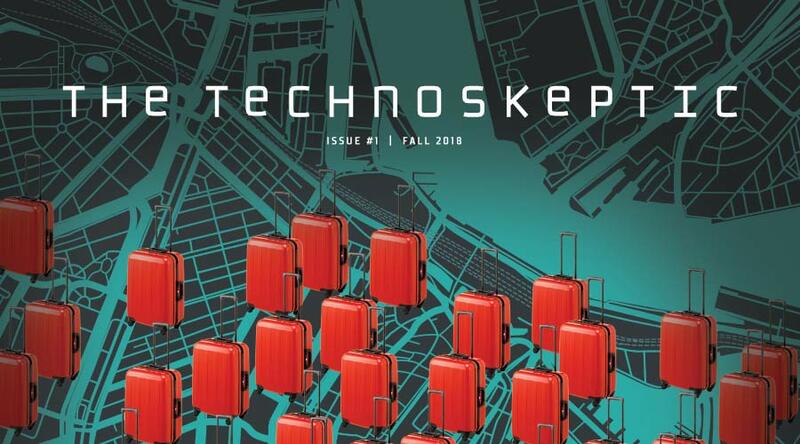 The Technoskeptic is not yet available on newsstands, but we plan to be soon. People interested in purchasing single copies may be able to do so in the near future through this site or at an in-person event. Check our event page to see if anything is coming up in your area—publisher Mo Lotman will be traveling around the country during the next three months with magazines in tow. Also, feel free to inquire by email at info@thetechnoskeptic.com. We’re excited by this new development, and hope you are too!